Dr. Maria Montessori, physician, anthropologist and pedagogue, studied children of all racial, cultural and socioeconomic backgrounds for over fifty years. Her scientific observation of the human being from birth to maturity allowed her to distill a body of philosophical, psychological and pedagogical principles. These principles, combined with a vast range of autodidactic materials, came to be known as the Montessori Method of Education. 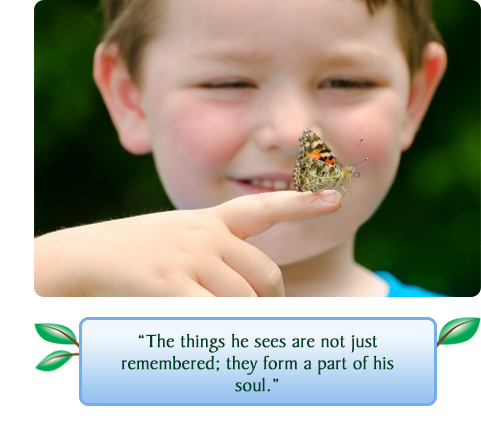 The Montessori approach offers a broad vision of education as an aid to life. It is designed to help children with their task of inner construction as they grow from childhood to maturity. The approach succeeds because it draws its principles from the natural development of the child. Its flexibility provides a matrix within which each individual child's inner directives freely guide the child towards growth. Montessori classrooms offer a prepared environment where children are free to respond to their natural tendency to work. A child's innate passion for learning is encouraged with opportunities to engage in spontaneous, purposeful activities with the guidance of a trained adult. Through their work, the children develop concentration, joyful self-discipline and progress at their own pace and rhythm, according to their individual capabilities. foster children’s innate love of learning and to make their introduction to education a joyful and purposeful start to a journey of life-long learning.